What are the Dietary Proteins? 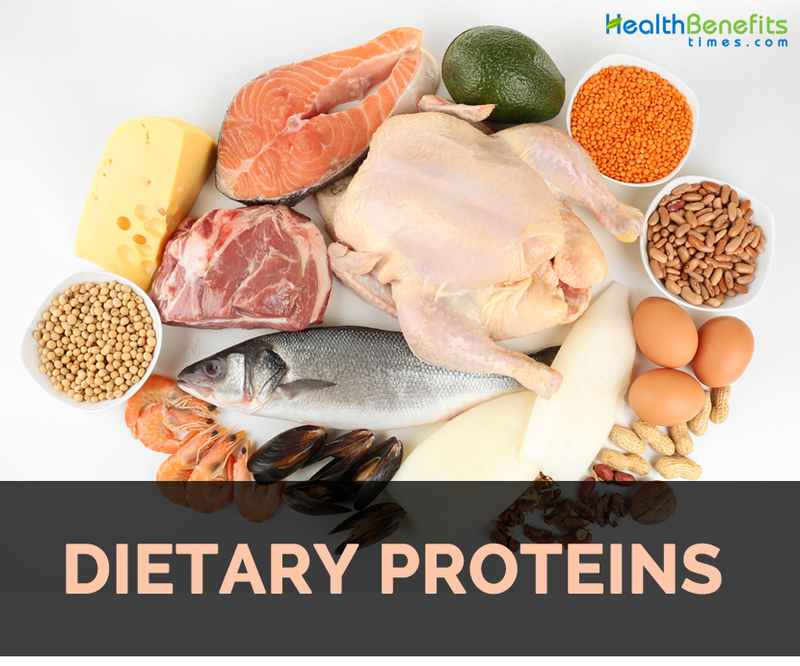 You are at:Home»Foods»What are the Dietary Proteins? All organisms contain protein but the protein content of organisms varies. 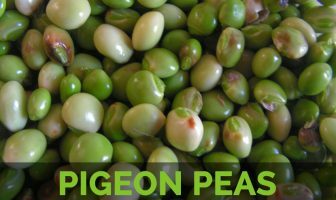 In general, foods of animal origin have a greater protein content than plants and plant-derived foods. This is largely due to the skeletal muscle of animals or protein requirements before (e.g., egg) or after birth (e.g., milk). The protein content of skeletal muscle or animal flesh is approximately 22%. Water-packed tuna derives more than 80% of its energy from protein. Approximately 65% of the protein that Americans eat is derived from animal sources. In comparison, many African and Asian societies derive only about 20% of their protein from animals. Animal meat proteins are very similar to human skeletal muscle proteins and include myosin, actin, troponins, and other proteins. Typically, animal meat is more than 80% protein on a dry weight basis. In addition to protein, meats deliver iron, selenium, and vitamin B12. Meats are among the best food sources of creatine, carnosine, and beta-alanine. However, meats are often a contributor of fat to the diet. Chicken tends to store more fat beneath the skin (subcutaneously) whereas cows have adipose tissue marbled throughout their muscle tissue, which is visually obvious. Removing the skin of a chicken breast or thigh would greatly lower the fat content and increase the protein content (as a percent of total energy). Beef can be trimmed of visible fat to lower its fat content. However, fat in food provides flavoring. Fish proteins are very similar to mammalian meat proteins with a few striking differences. For instance, microscopically, the striated appearance of fish myo- fibrils is similar to mammals and contains the same proteins. However the skeletal muscle of fish is organized with shorter fibers and arranged between connective tissue sheets. Fish is generally a lean protein source containing relatively little fat. For instance, water-packed tuna derives more than 80% of its energy from protein. While being a leaner protein option is true for many fish, consumers need to check the food label, as some fish are fatty or perhaps canned in oils which can increase the non-protein calories of a fish source. Milk proteins include casein and serum proteins or whey. Casein proteins account for roughly 78% of milk’s nitrogen-based mass and whey is 17%. The remaining nitrogen compounds found in milk are mostly amino acids and peptides. Casein is a family of spherical phosphoproteins while whey consists largely of b-lactoglobulin, lactalbumin, immunoglobulins, and other albumins. The most abundant whey protein is b-lactoglobulin, which is rich in the amino acids lysine, leucine, glutamic acid, and aspartic acid while the immunoglobulins are largely immunoglobulin M (IgM), IgA, and IgG. Whey and casein proteins are among the most common proteins in protein supplements with sourcing as whey protein concentrate (WPC; 80% protein dry weight) and whey protein isolate (WPI; 90% protein dry weight). Whey tends to be digested and absorbed faster than other proteins, including slower digesting casein proteins. The main difference is that whey is more acid stable than casein, which results in whey moving from the stomach to the small intestine quickly while casein forms a gel and slows the transit time dramatically. There are at least eight main proteins in egg whites, including ovalbumin, conalbumin, ovomucoid, avidin, flavoprotein-apoprotein, “proteinase inhibitor,” ovomucin, and globulins. Protein collectively accounts for about 11–12% of liquid egg white. Meanwhile, much of the egg yolk proteins are found in the form of emulsifying lipoproteins due to the high lipid content of the yolk. Egg yolk is rich in fat and consequently egg white has higher protein concentration (gram for gram) than a whole egg or the yolk. To highlight the difference, a whole egg will have 6 g protein (24 kcals) and about 75 kcals total, so a whole egg is roughly 33% protein while at the same time, one egg white will have 3–4 grams of protein, which accounts for > 90% of its 15–16 kcals. The four main protein fractions in wheat are albumin, globulin, gliadin, and glutenin. When gliadin and glutenin, as part of flour, are mixed with water, they form gluten, which provides the structural network that allows bread to rise. Gluten proteins are rich in glutamine and relatively low in lysine, methionine, and tryptophan. Gluten-free products have appeared on the market in high amounts during the last decade. Some individuals have a sensitivity and/or allergic reaction to gluten in the intestine that results in diarrhea and malabsorption issues (gluten-sensitive enteropathy). Whether gluten is responsible for other health conditions is debatable and controversial. Soy proteins are complex multiprotein globulins in general and soy protein is a good source of all essential amino acids except methionine and tryptophan. Soy protein isolate (SPI) is used commercially in drinks mixed with fruit and water, coffee whiteners, liquid whipped toppings, and sour cream dressings. Soy proteins are often found associated with isoflavone molecules, such as genestein and daidzein, which might have health-promoting properties and are considered nutraceuticals (Soy protein isolate is used in some protein supplements and is a more cost effective protein ingredient than WPI.